If you’re a freshwater aquarist, you’ve probably come across Cory catfish before. The various members of the Corydoras genus are incredibly popular aquarium fish after all, and for good reason. They’ve got everything you want in a fish! Cory catfish are peaceful, suitable for beginners and fascinating to watch. Some species will even breed easily in the aquarium, making them a fun project for the beginning breeder. Let’s dive a bit deeper into the world of Cory catfish. We’ll start with some general info and then move on to describing five of our favorite species from the genus! What is a Cory catfish? Cory catfish, Corydoras catfish or Cory fish are common names for a large genus of freshwater catfish called Corydoras. These fish are also collectively known as ‘armored catfish’, a name derived from the hard bony plates along the sides of their bodies. This species is naturally found in various countries in South America. Here, they inhabit small rivers and stream-type habitats that don’t have strong currents. The water is usually clear and the substrate is soft, allowing the Cories to dig for food. There are many species of Cory catfish out there and many of them are popular in the freshwater aquarium hobby. Not surprising, as all Cory catfish are lots of fun to keep! They are considered among the friendliest aquarium fish out there and play well with pretty much any other peaceful species. Additionally, their ‘armors’ make them suitable to keep with some of the more feisty fish out there, as it protects them from overly curious nippers. You’ll never see your Cory fish chase or bother a tankmate. In fact, the smallest species are among the few fish that will leave even baby dwarf shrimp alone. This makes them a popular choice among shrimp hobbyists who don’t want to lose any fry to hungry tankmates. …wink? One of the features that makes some Corydoras species so endearing is the way in which they move their eyes. If you’re lucky, you just may catch a wink! Cory fish can move their eyes quickly downwards, creating the illusion that they can wink or blink despite not having any eyelids. …breathe air with their bellies? Yeah, you read that right. Cory catfish have evolved to absorb air through their intestines. In the wild, this allows them to survive longer than other fish species if water quality happens to decline. In the aquarium, you’ll regularly see them dart to the surface to take a gulp of air. Nothing to worry about unless they’re suddenly doing it more often than you’re used to. ...are sometimes injected with dye? Unfortunately, you have to be careful when purchasing Cory fish that have very vivid colors. They are one of the aquarium species commonly injected with dye to enhance their colors. If a fish has a vivid red marking along its lower back end, it may have been injected. Though there is debate about how common the dyeing practice is nowadays compared to a few years ago, it’s still worth keeping an eye out for. …are omnivores? Some aquarists mistakenly think they are herbivorous algae eaters. In reality they’ll consume every edible morsel they come across on the substrate. They’ll do best when fed a varied diet consisting of bottom feeder tablets, plant-based foods and frozen foods like mosquito larvae. …live in very large groups in the wild? 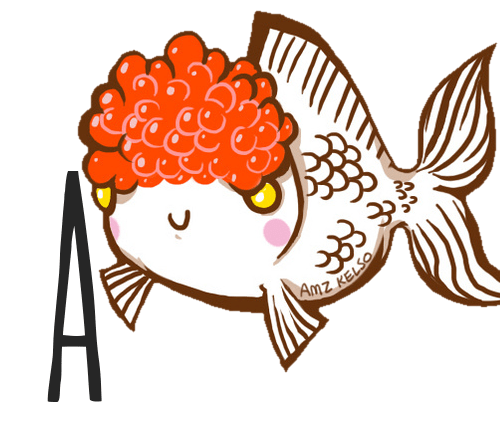 This means that in the aquarium, you should not keep Cory fish species in groups with less than six individuals. They need companions to feel comfortable. There’s safety in numbers, after all! To kick things off, it’s only fitting to take a look at the most commonly kept Corydoras catfish in the hobby: Corydoras aeneus. The bronze or green variety is a striking Cory catfish that is a metallic brown with an emerald-green iridescence that really shows up along its sides. They can grow to be between 2.5-3 inches (6.5 to 7.5 centimeters). Their size means it’s always better to go longer than higher when considering tank dimensions for this species. Just like with many of the other Corydoras catfish species, bronze Cories prefer acidic to neutral water with soft substrate like aquarium sand. Lots of cover is also important. In terms of compatibility, the bronze Cory fish has been described as being “the perfect citizen” because it does well in community tanks as long as its requirements are met. The bronze coloration is just one Corydoras aeneus variety that’s readily available, which is why the species is so popular in the fishkeeping hobby. The Albino Cory catfish is another you’ll commonly see. This variety is known for its pale body and red eyes, making it a real eyecatcher! Interested in adding this lively species to your own aquarium? If you need any more info you can find a full caresheet for it on Aquariadise here. Panda Corydoras catfish are adorable Cory catfish with pale bodies and black patches on the face, dorsal, and peduncle. It’s because of the patches around their eyes especially that they’ve come to earn the name “panda”. The resemblance to the ever-popular panda bear is striking! There are other masked species that may be confused with it, such as Corydoras metae, but pandas are more widespread. These are energetic fish that need a lot of room to zoom. However, fishkeepers can’t seem to agree on what the minimum tank requirement for housing a school of these Cory catfish should be. Some think that you can fit a shoal in a tank as little as 5 gallons (19L). Not something we’d recommend at all; try these species for a tank this size instead. Given their boundless energy, you’ll definitely want to go bigger. 20-30 gallons (75-113L, or more) works best if you really want to see your panda Cories thrive. Offer cover in the form of aquarium plants but also leave plenty of open swimming room. Whenever you come across conflicting information when it comes to tank sizes, you should always choose the largest option you can. By doing so, you’ll have a better handle on the water chemistry and less danger of sudden harmful spikes. Additionally, you’ll have more room for larger groups, which the fish wil thank you for. 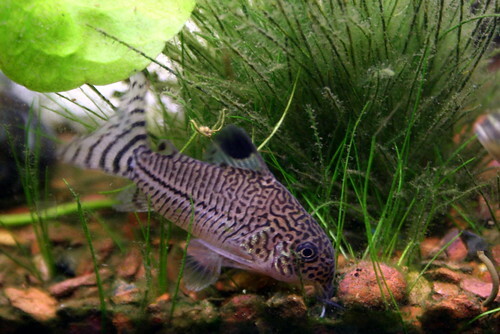 The julii Cory catfish, also known as the leopard Corydoras, is a rare species from Brazil that is highly sought-after in the aquarium hobby. Despite its popularity, finding specific information and proper care tips about julii Cory catfish can be difficult. There is some confusion when it comes to this species because of its visual similarity to another, Corydoras trilineatus. The problem is not that you can’t find care sheets – it’s that they may be written with Corydoras trilineatus in mind. The confusion here is caused mainly by the species’ similarly spotted appearance. Luckily, you can tell the two apart by the pattern of spotting on their heads. In false juliis the spots are a little more ‘squiggly’, if you will! 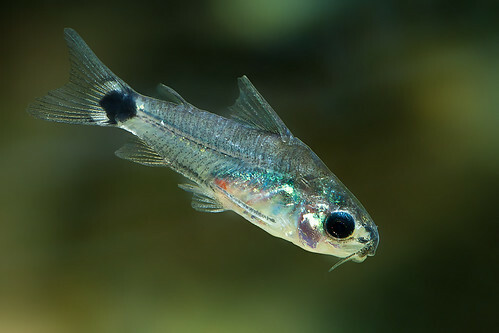 True julii Cories will have smaller dots on the head instead. Julii Cory catfish grow to an adult size of up to around 2″/5 cm. This means that if you manage to find this coveted species you’ll ideally have to provide a medium-sized aquarium of at least around 30 gallons/113 L. Combine them with small schooling fish for a calm community with a balanced look. The three-lined catfish, more infamously known as the false julii, is widespread and can be found in a number of areas throughout the Amazon. It earns its name as the false julii because of how often it’s misidentified in the hobby. As discussed before, Corydoras trilineatus and Corydoras julii are very similar. If you think you’ve hit the jackpot while coming across a tank marked with Corydoras julii at your local pet store, you may want to think again. Mislabeling and confusion is very common. It doesn’t help that these two Corydoras catfish species can can breed and produce viable young. There’s debate about the intentional practice of this, as there are those that wish to keep the species pure and those that like having options. Since this species thrives in an Amazon biotope, replicating an Amazon basin in your home aquarium is best if you really want to see the fish thrive. You can do this by using driftwood and leaf litter to create a tannin-rich environment. There are few things that look more stunning than a biotope done right, and your Cory catfish will appreciate the effort. You can read more about the advantages of leaf litter here. Although this photo is labeled ‘julii’, this is actually Corydoras trilineatus. A classic case of confusion! Need a Cory catfish for a smaller aquarium? Consider Corydoras pygmaeus, also appropriately named the pymgy Cory catfish. This tiny species reaches a maximum size of only around 1″/2.5 cm, meaning it can be kept in smaller aquariums than most of its cousins. A 10 gallon (38L) long tank should be enough for a group as long as there’s plenty of floor space! One other difference between pygmy Cory catfish and other Cory cats is that this species doesn’t exclusively inhabit the bottom layer of your aquarium. Although it’s still technically a bottom dweller you’ll also see it venture into the middle water layer. This is something to keep in mind while stocking your tank, as multiple species in the middle layer can make for a messy look. As always, keep your pygmy Cory catfish in groups of at least around 8 if you want to see them thrive. Be sure to avoid large or aggressive tankmates. Bigger Corydoras catfish species can stand their ground in the presence of more assertive fish with the help of their bony armor plates, but pygmy Cories are just a little too small to risk it. If you’d like to know more about keeping Corydoras pygmaeus in your own aquarium, don’t forget to have a look at its full caresheet. If you want to know more about keeping Cory catfish in your aquarium or want to share your own experiences with one of the various armored catfish species, don’t hesitate to leave a comment below! Interkoi 2013 – Betta photos inside! My visit to Holland Koi Show 2015!